Goldbroker provides physical gold and silver ownership, full ownership (no mutual or fractional ownership), storage outside the banking system in a secure vault in New York, Toronto, Zurich (Switzerland) and Singapore. Why Choose Goldbroker for Investing in Gold and Silver? GoldBroker.com is a result of our experience and knowledge of why it’s important to invest in physical gold and silver today. We can assist those who don’t have the technical skills required to know exactly the best solution to own or invest in gold and silver. I decided to invest in Gold and Silver in order to protect my assets. I believe that inflation is destroying the purchasing power of my wealth. I fear that my bank could go bankrupt. Investing in stocks is too dangerous (crash of 2008). I’m not willing to invest in real estate due to current prices. I called my banker for advice and he told me to buy gold and silver ETFs. First problem: By investing in an ETF tracker or certificate, you have no guarantee whatsoever that you own PHYSICAL gold and silver. If you read the contract closely, you find that the issuer of the certificate or ETF can default and pay you in cash if they are not able to provide you with physical gold. Besides, there is a minimum amount you need to reach (usually 400 oz.) to be able to call for delivery. And you can even end up paying the penalty in order to convert your ETF shares to physical gold. When you invest in an ETF tracker or certificate, you don’t really own physical gold: you own “paper” gold. It’s almost impossible to convert your ETF shares to physical gold or silver... just try if you’re not convinced. In the current economic situation, ETFs do NOT give maximum protection. If you want to trade gold and silver on a short-term basis, go ahead, but that’s not what you need if you’re serious about protecting your wealth. Some even say that ETF issuers don’t have enough physical gold and silver to convert all the shares owned by their clients into physical gold and silver, if all of them called for delivery. Avoid this kind of “paper” investment by owning physical gold and silver in your own name, not through third parties. I decided to buy gold and silver bars or coins and store them in my house or in a vault at my bank. Second problem: Home storage can be quite risky. In case of a robbery, you lose everything, and most of the time you’re not properly insured for that. Secure storage is a job for professional companies with the experience and tools to do it right. Besides, if you decide to store your gold at the bank, you won’t be able to access it if the bank is temporarily closed or experiencing a bank run…when you need it the most. If you store your gold and silver holdings in the country where you live, you are not protected in case your government outlaws the ownership of gold. It happened in the past when President Roosevelt was in power, and it can happen again. It has never happened in Switzerland, and that’s where the secure vault is located. As for physical silver: Silver is 40 times bulkier than gold, so it’s impossible to store large amounts of silver at home or bank. 1/ Invest in PHYSICAL gold and silver only: you will avoid bankruptcy risks or failure to have your physical gold/silver delivered by an ETF issuer. 2/ Own PHYSICAL gold and silver in YOUR OWN NAME: NOT through third parties. If you can’t touch it, you don’t own it. 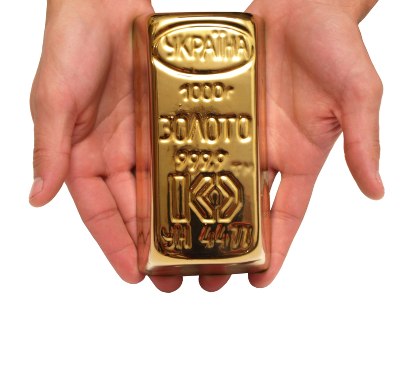 For instance, if you own a share of a physical gold bar, you won’t be able to call for delivery. Avoid this flaw of mutualized ownership. Buy quantities that can be delivered to you, because you own it. 100%. 3/ Store your gold and silver outside the banking system, so that you will not be exposed to bank closures/bank holidays. With GoldBroker, you own PHYSICAL gold and silver outside the banking system, in YOUR OWN NAME, with delivery whenever you want. You can also come to the secure vaults in New York, Toronto, Zurich and Singapore to check your holdings. You own the gold and silver: we do not. We help you to invest in physical gold and silver.